Add the pure, perfumed essence of dried flowers to your next cocktail with this tincture-like lavender bitters formula by Dashfire. From Dashfire's Single Flavor Family of bitters comes this to-the-point, floral-forward formula. This all-natural lavender bitters recipe combines only three ingredients: lavender flower, alcohol, and water. Dashfire Lavender Cocktail Bitters are part of Dashfire's Single Flavor Family of Bitters (S.F.F.) line. The S.F.F. line showcases the pure expression of a different flavor and may be used alone or mixed and matched the way a chef uses herbs and spices. This lavender flower bitters recipe is perfect for those times when you want to add the perfumed essence of dried flowers to a cocktail without the hassle or commitment entailed in prepping an infusion. These bitters complement spirits with herbal notes, and will help you create a great lavender gin cocktail. It will also go well with many vermouths and fortified wines. They also bring a surprising element to darker spirits like rye. 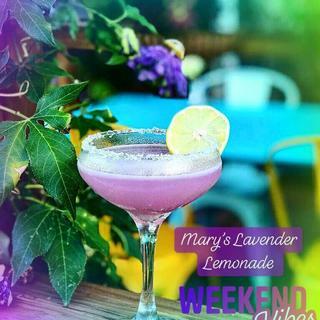 Try them in a lavender lemonade cocktail, or use the bitters as inspiration for an entirely new creation. Thank you for selling this product!! The end result is fantastic without using any fake ingredients we were able to stay true to who we are. We finally found the right ingredients to make our Lavender lemonade! Thank you!! !